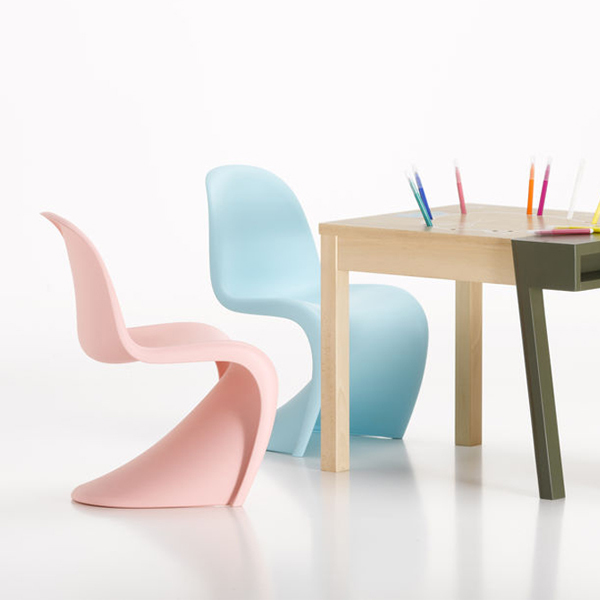 Vitra's Panton chair is one of the best-known classics of modern furniture design, and due to its exciting shape and bright colours, it is also a children’s favourite. 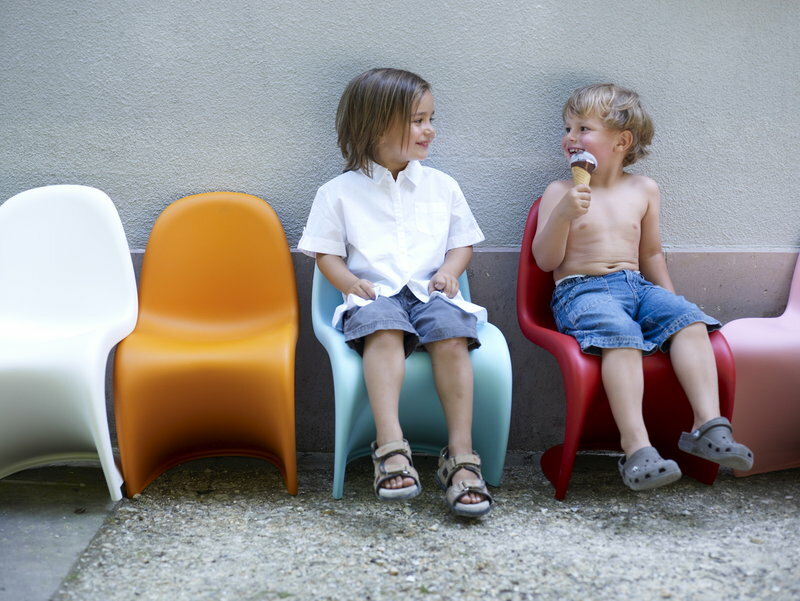 That’s why the designer Verner Panton created Panton Junior – a smaller version of the chair for Vitra. 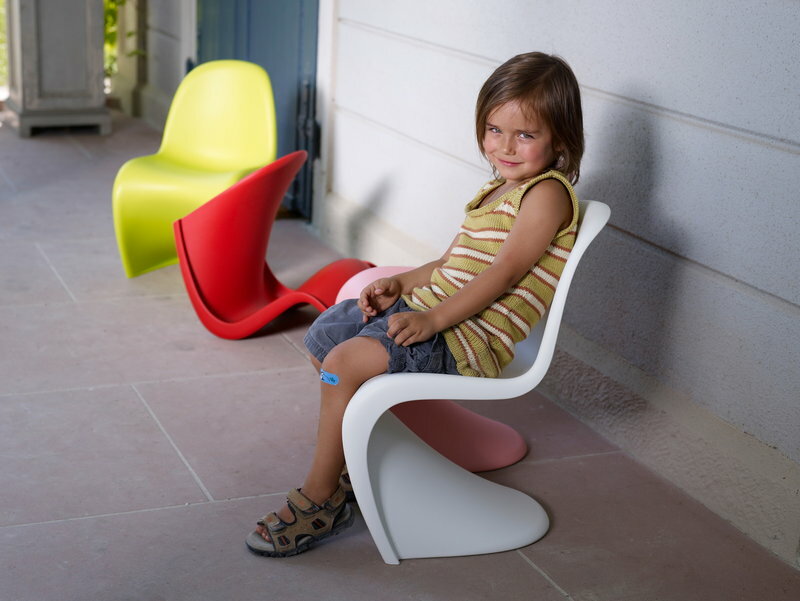 Panton Junior chair has been manufactured since 2008, and its size is about 25% smaller than the original model. 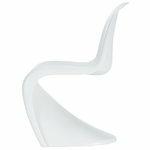 Made of durable, coloured polypropylene with a matte finish, the ergonomically shaped seat and slightly flexible material make the Panton chair pleasant to sit on. 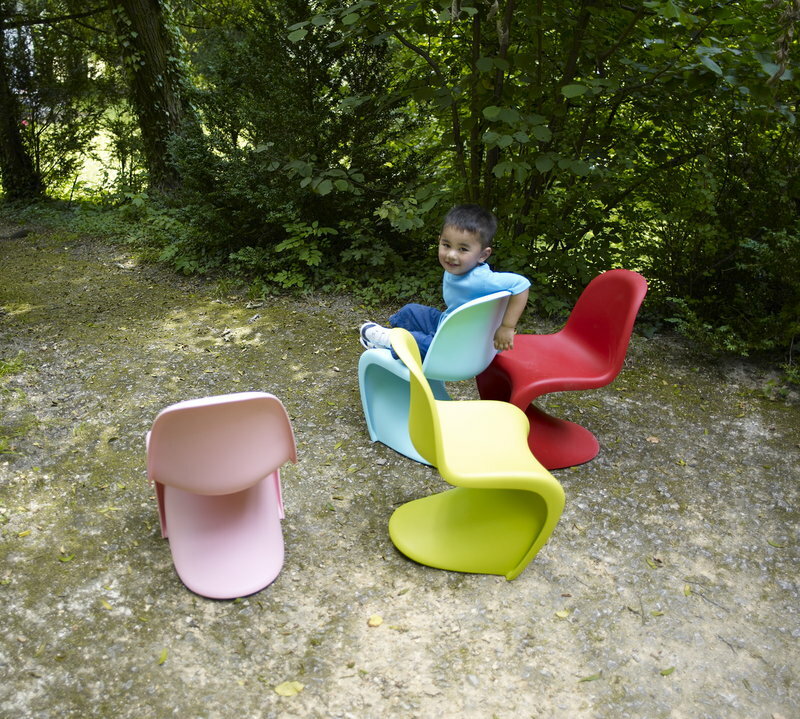 The eye-catching Panton Junior chair is also suitable for outdoor use. 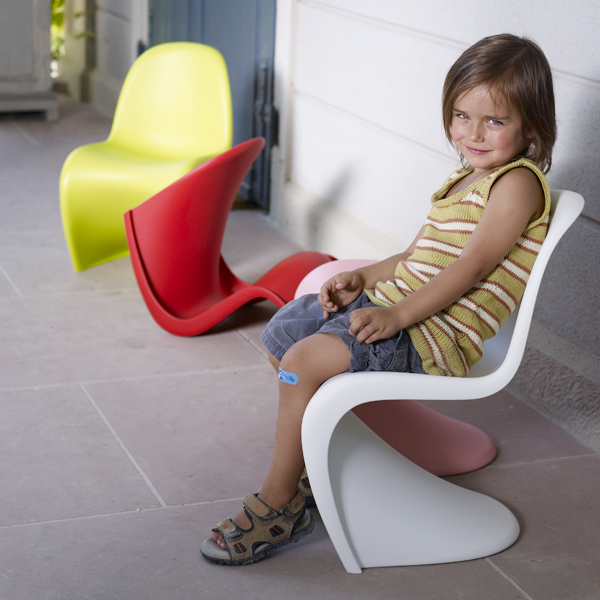 The chair is UV protected, but please note that constant exposure to sunlight might still result in fading of the colours. 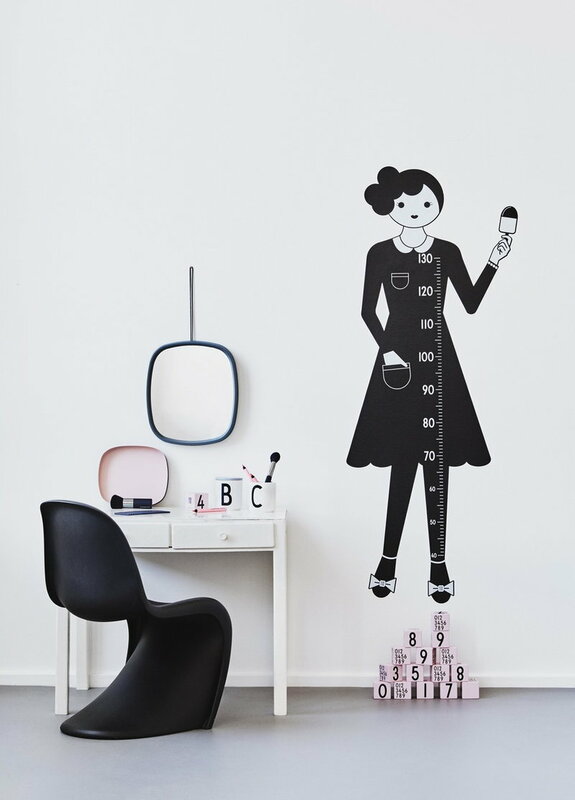 Verner Panton (1926-1998) is considered one of Denmark’s most influential furniture and interior designers in the 20th century. 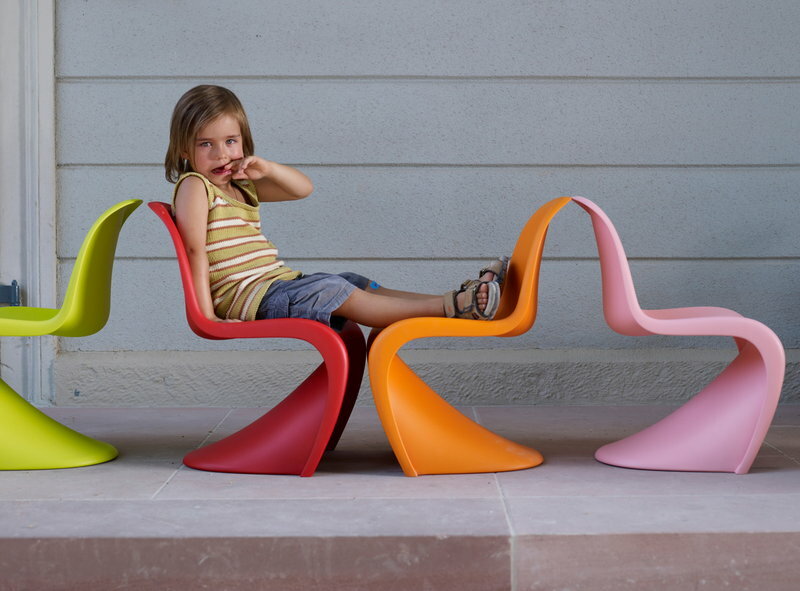 Panton’s works are represented in numerous museums worldwide, and he was awarded several prestigious design awards. He was a unique designer with a special sense of colour, shape, light function and space. Panton was trained as an architectural engineer in Odense and after that he studied architecture at the Royal Danish Academy of Art in Copenhagen, graduating in 1951. During his career, he created innovative and futuristic designs in a variety of materials, especially plastics, often using very vibrant colours. Panton also introduced a series of modern lamps with personalities unlike any of his Scandinavian contemporaries. The Panthella lamp, created in 1971, is one of the most famous luminaires by Panton. 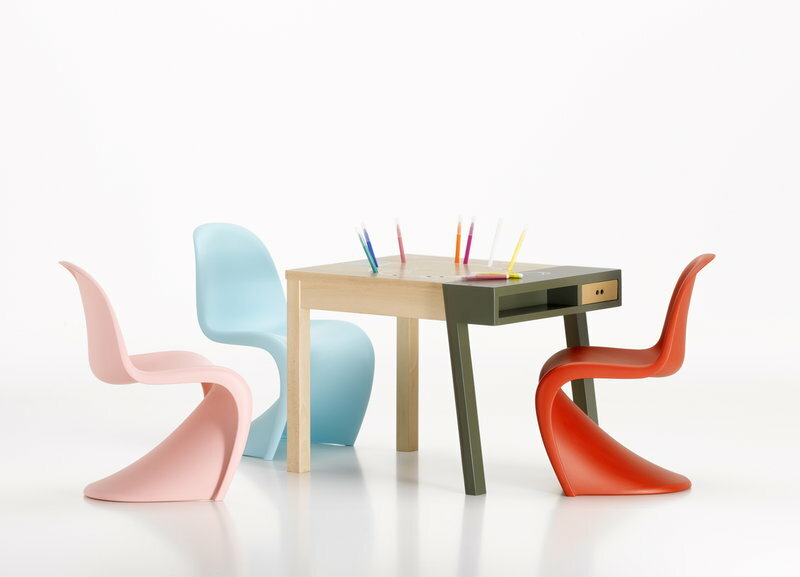 Panton was also famous for his inspirational and colourful personality. “The main purpose of my work is to provoke people into using their imagination. Most people spend their lives living in dreary, grey-beige conformity, mortally afraid of using colours. By experimenting with lighting, colours, textiles and furniture and utilizing the latest technologies, I try to show new ways, to encourage people to use their imagination and make their surroundings more exciting,” Panton commented on his designs.